We decided to wait out the rest of winter in Tucson and Phoenix before heading further north in the spring, so back to Tucson we went. Being back at Catalina State Park almost feels like coming home since we’ve been here multiple times and it’s still one of our most favorite places to stay. When you’re home, you get comfortable, take off your shoes, kick back, and vegetate which is exactly what we did. 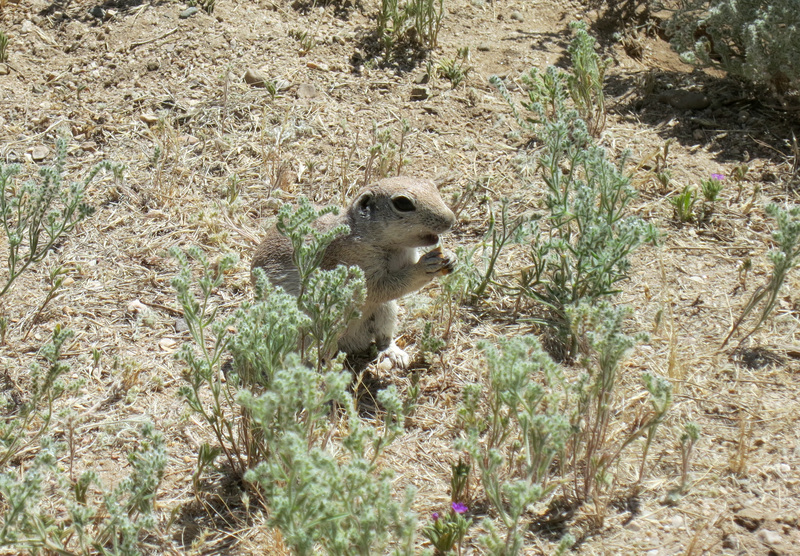 Well, maybe Mike and I relaxed; with the warmer weather, the prairie dogs were back out in force which kept Opie in a constant state of vigilance (“GET OFF MY LAWN”). My East Coast brain still has a tough time wrapping around the fact that Arizona has seasonal rivers and streams. In January, Opie and I had to do some rock hopping to cross over some streams/creeks during our hikes in Catalina and the Sutherland Wash was deep enough that I ended up with soaked shoes and socks. So this time I decided to come prepared and wear my sandals on the hike. Yeah, that didn’t work out so well; the wash was bone dry and I just ended up with lots of sand in my sandals. We did find a little bit of water left in a small shaded area so Opie took advantage and soaked for a while. I know this is normal for AZ but it still boggles me looking at the completely empty washbed knowing that it was full of water just 3 months ago. Most of our time in Tucson was spent exploring/hiking Catalina State Park, hanging out with our friends in Tucson, spending a lot of time on our hobbies, and eating lots and lots of cinnamon rolls from the Village Bakehouse (it’s a terrible weakness). I did finally get my hair chopped off though. 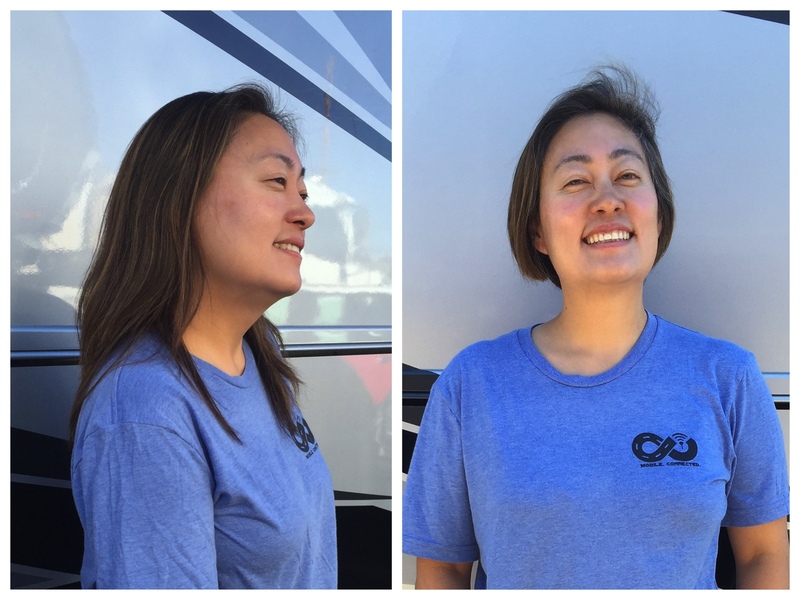 Since we started traveling, I’ve kept my hair long for easy maintenance. Unfortunately I found that I always kept my hair pulled back in a bun or ponytail and it just wasn’t very flattering. I got my hair back into a short bob which keeps it out of my face and I’m much happier with the style. That does mean I will need to get regular haircuts moving forward, ugh, the horror. Mike and I enjoy tabletop gaming and video games. Since we’ve been on the road, it’s been near impossible to play console games online due to streaming requirements and all the tabletop games we’ve played work with 3+ players. We picked up Forbidden Island (thanks to RV Wanderlust for the recommendation) and Hive while in Tucson. Both are really great two player games. Forbidden Island is easy to learn and involves cooperative gameplay while Hive is similar to chess and requires using our brain to plan strategy. 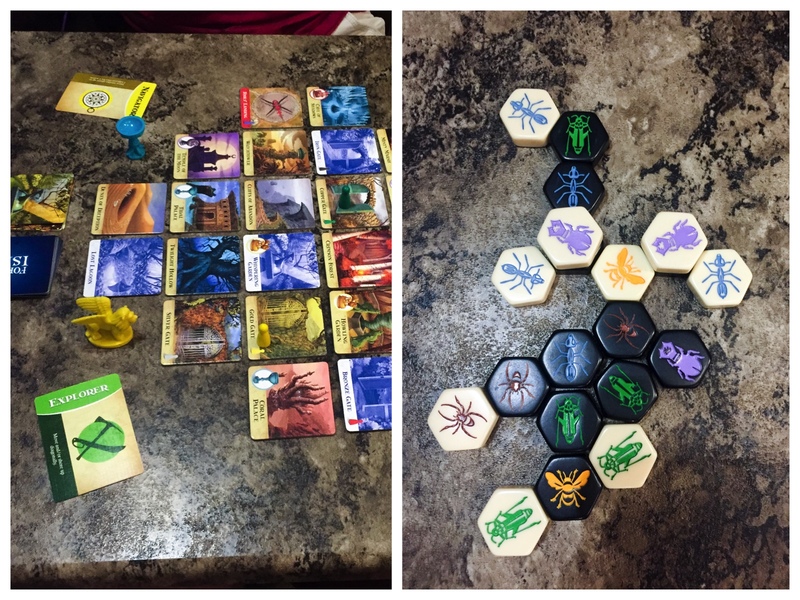 Forbidden Island (left) and Hive (right). After saying a fond farewell to Tucson (we’ll be back! ), we headed to Phoenix for a week. There are some fabulous county and state parks in the area. Last year we stayed at McDowell Mountain so this year we tried Usery Mountain which has a nice view overlooking Phoenix. We took an easy 3 mile hike on Wind Cave Trail and enjoyed the view, although we were both surprised at how much smog covered Phoenix that day. 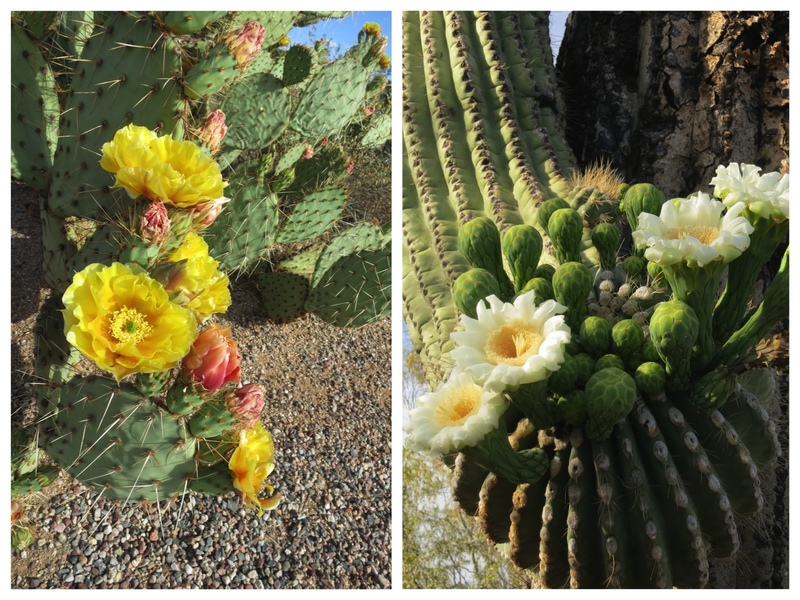 April in AZ means seeing greenery and beautiful blooming cactus. I didn’t even know saguaros flowered! 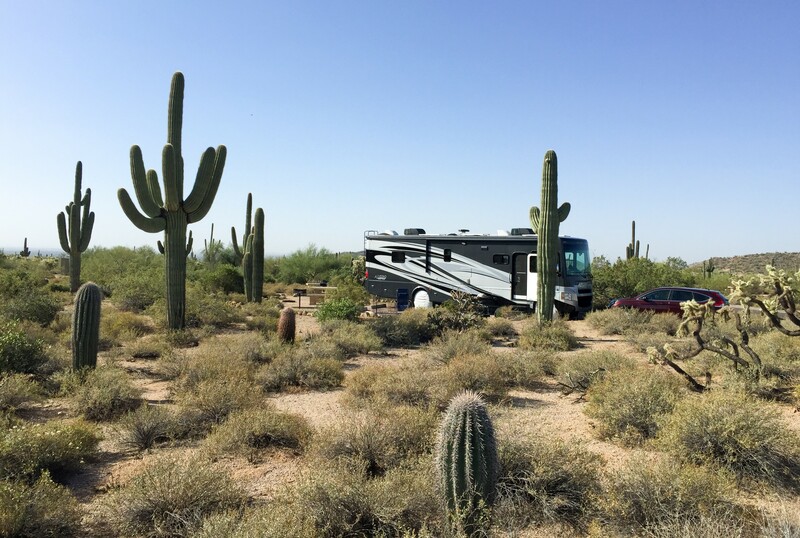 Since we slacked off in Tucson, Phoenix was our “chores/RV maintenance” spot. I’m positive I didn’t do this much house maintenance when we lived in a sticks and bricks home but I guess having a house that constantly moves means making sure all the moving parts continue to move and all the stationary parts don’t. RV Maintenance in a nutshell. 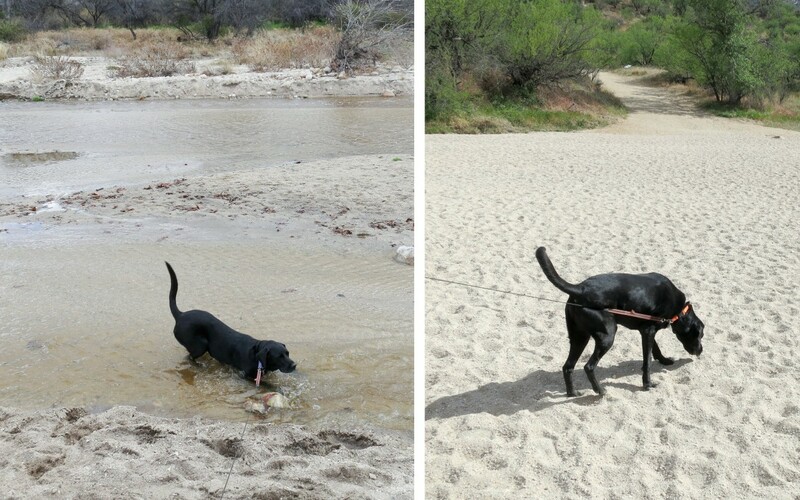 Last time we were in Phoenix, we did find a great dog park in Mesa (Quail Run Dog Park) so we took Opie there several times. While Opie is a bit of an introvert like us, there are times when he loves to socialize with other dogs. Plus there is the entertainment factor of watching him run around like a loon. While we had a great time doing not much of anything in Tucson and Phoenix, that will shortly change as we make our way up north. 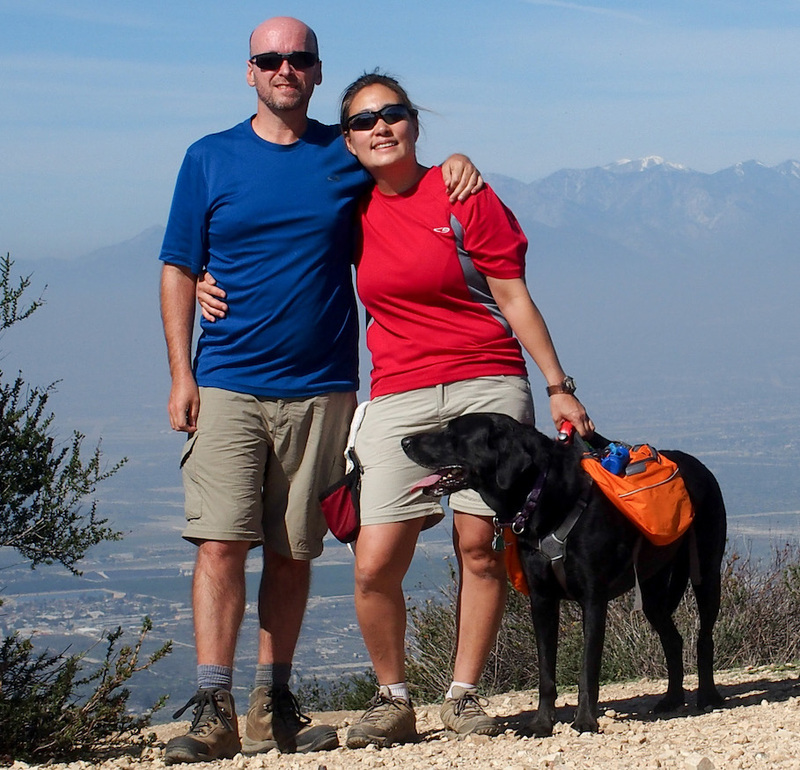 We’re looking forward to some great hikes in Sedona, Grand Canyon, and Bryce. Fun pics, Kathie . We enjoyed chatting with you too. If you two would like to learn another 2 person game, our favorite is cribbage and backgammon. Of course you may know how to play it just not your cup of tea. We learned another cool card game recently it’s called “Oh, Hell” it’s fun. If you’re interested we can show you these games. BTW we’ll be back at the state park Mon. till Fri, will check out the boondocking site near by for sure. Oh, before I forget, those scones you made were delicious. Tom said, you must be a good cook making these scones in RV oven. Z.
We’ve played backgammon before and enjoyed it, haven’t tried cribbage though. Mike’s not much of a trump/bid card game type though. We really enjoy meeting up with you again and look forward to dinner out next week! I’m glad you and Tom liked the scones. I used to bake often when we were in a sticks and bricks home, but I’m a little more limited in the RV. 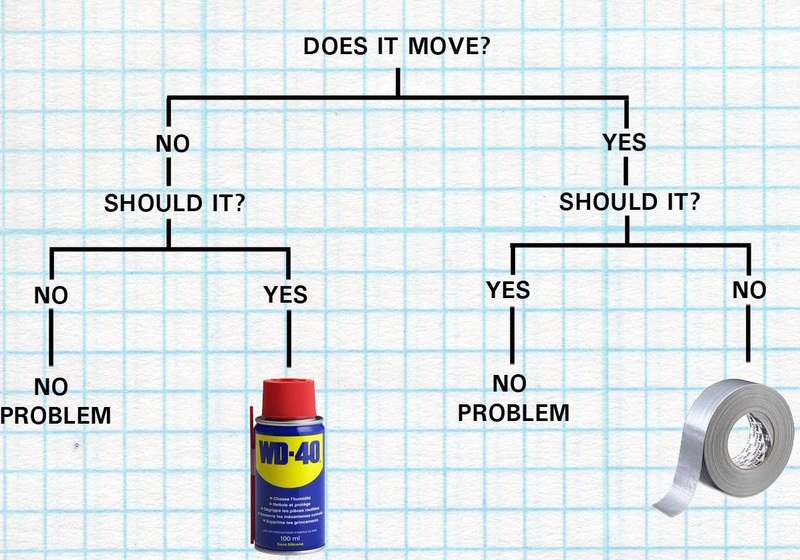 Haha, love your RV maintenance flow chart! Great flow chart. When I was working we were in Green Bay and set up a flow chart on cow tipping which was a lot of fun! We’re finally taking Bertie on her first official trip 4/28 – 5/4. Only problem is I tripped and fell breaking my right foot in 2 places and my left elbow. However, I am in a walking boot so the show will go on. Also, love the shorter cut on you. Oh no!! That sounds like an awful fall, hope it heals quick. I’m glad it’s not stopping you though! So the first trip is to SC? Have a LOT of fun! Tell Bertie to behave herself and be a good girl. :) Hopefully all the bugs and wrinkles have already been shook out of her so it’ll be smooth sailing. We found most RV’ers tend to be super-helpful so you can ask almost anyone for help if you have any issues while camping. 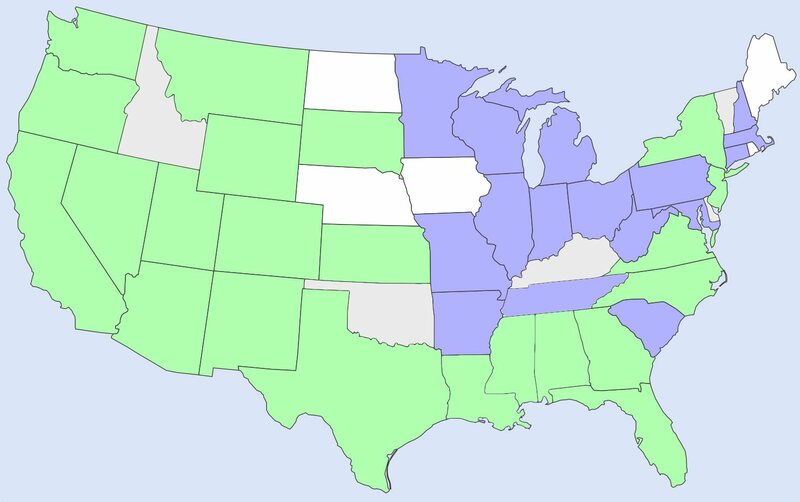 Hopefully we’ll cross paths when we come back to the East Coast in the fall! Forbidden Island is a great game. Check out Dominion too – great deck building game. Thanks! We loved Magic: The Gathering card game, but collected boxes and boxes and boxes of cards! Dominion sounds like another great game. 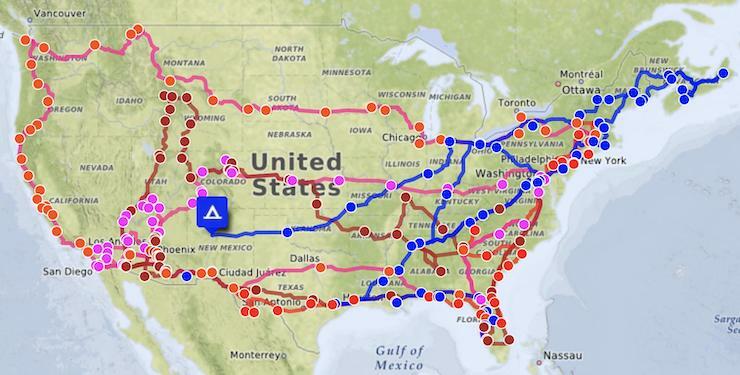 Looks like a fair number of expansion packs. Is it good enough to play with just the base cards? Love Opie’s “shameless” photo. lol I’ve discovered our cat,, Lucy, in the same position lately. Maybe it’s a sign we need to get on the road again! It’s interesting that you cut your hair and I’m letting mine grow. I have a difficult time locating good hairdressers in the middle of nowhere, so decided to just pull it up or pin it back. I’m sure I’ll eventually succumb to a short style eventually. Love the WD-40 and Duct Tape clip art……so true. 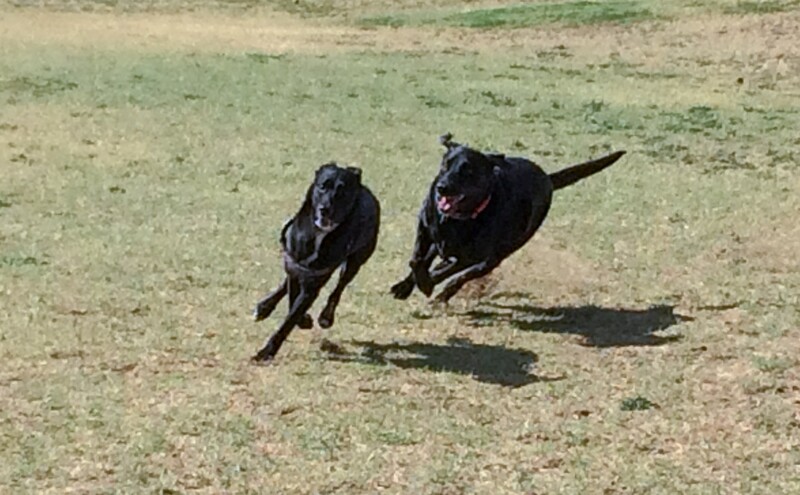 Those two and Quake Hold….Don’t know what I’d do without them. HA, I didn’t know cats did the same thing! It’s a ridiculous position and never fails to put a smile on my face! Hopefully FL hasn’t been too hot recently. We’re almost finished our first trip with Bertie and she has behaved beautifully! It took us almost 2 days to get settled in due to my foot and ankle and my husband is facing back surgery. When we are healthier it will be easier. Despite some difficulties on our part, Bertie was in great shape and everything worked perfectly. She was well loved in a previous life. Reading your blog from the beginning was so helpful and we haven’t made any major newbie errors. Even though it was rainy all day, we got tissue box holders, etc put up. I finished my stairwell cover – after breaking some bones I really don’t want to fall into the stairwell by accident! Chris and I agree that when we are in better shape we are really going to enjoy the RV lifestyle. Bertie is starting to look very homey (Hush Bertie! I said homey not homely.). I think Bertie is starting to develop her own personality and I may write a blog from her perspective one of these days. Again, thank you both for sharing such great information. It was very, very helpful. If you’re in the mood for a laid back, beautiful campground, I recommend Willow Tree RV Resort in Longs, SC. It’s about 10 miles to North Myrtle Beach and we have only left for dinner out. Great find for our first outing! Yay! Congratulations on the first major trip with Bertie! 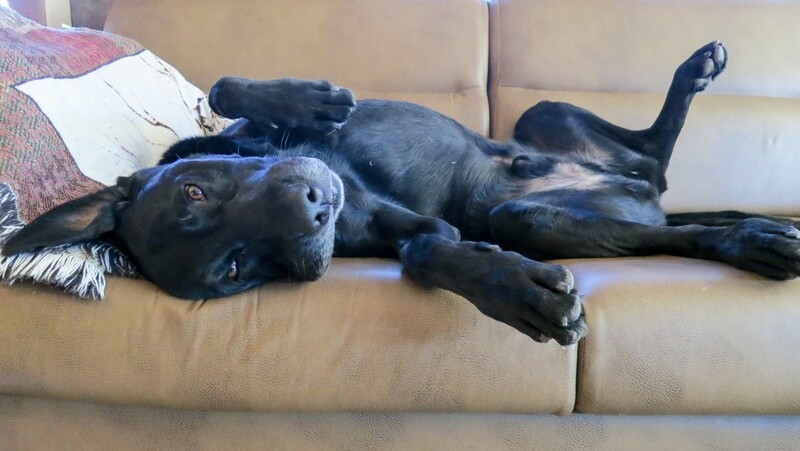 I love the idea of writing a blog from Bertie’s point of view, that’s really clever! If you do so, please let me know, I’d love to follow it. I hope you and your husband recover soon and really start enjoying the lifestyle! Any ideas on your next big trip? Thanks for the campground recommendation, we’re always looking for nice places to stay.